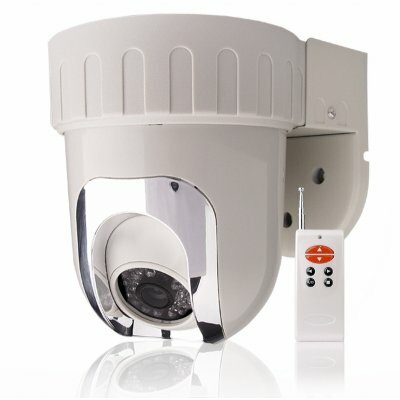 Successfully Added Rotating 1/3 Inch CCD Dome Camera With Remote Control to your Shopping Cart. Excellent 1/3 Inch PAL CCD Dome Camera with pan and tilt function, perfect for indoor use. Safeguard your home or business with this versatile dome camera. Manually and wirelessly adjust the camera up to 350 Degrees of pan and 60 Degrees of tilt with the included remote control or you can set the camera to auto panning for covering a wide areas with one touch of the remote. Take advantage of Chinavasion's no MOQ policy and direct shipping right to your door and order your sample today. Rotation Speed: PAN-12 Degrees/ sec. TILT-30 Degrees/ sec.